There were a couple shelves I should’ve included before, so . . . here they are! 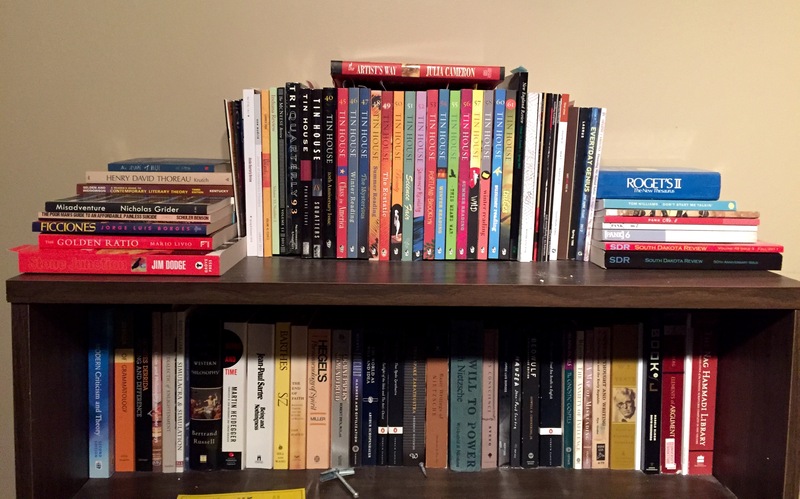 Top shelf: Lots of issues of Tin House! 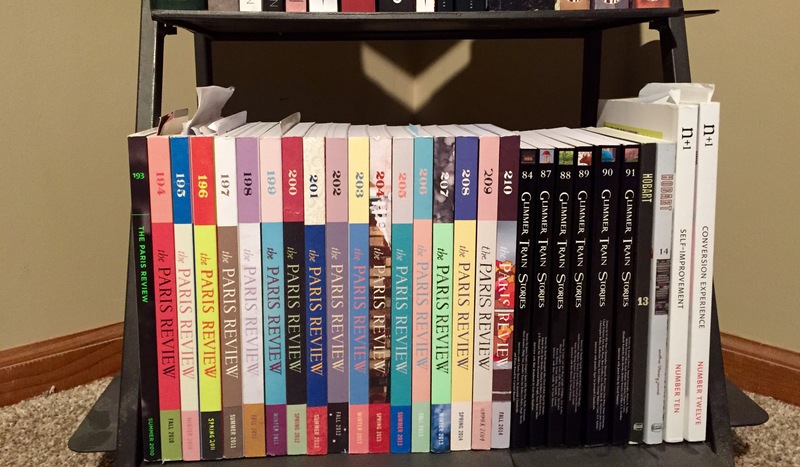 And lots of issues of The Paris Review and Glimmer Train (with appearances by Hobart and n+1). 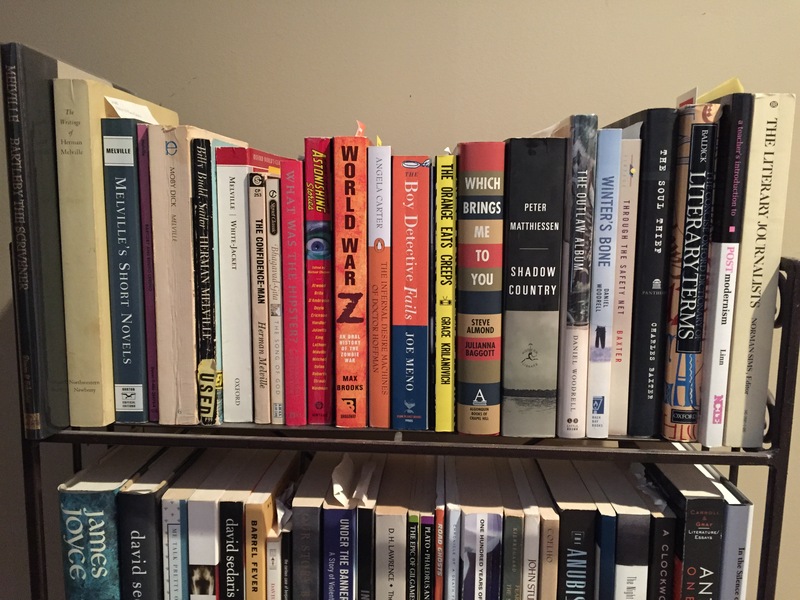 Joyce, David Sedaris, Arthur C. Clarke, Elie Wiesel, Anthony Burgess, and a number of classics. 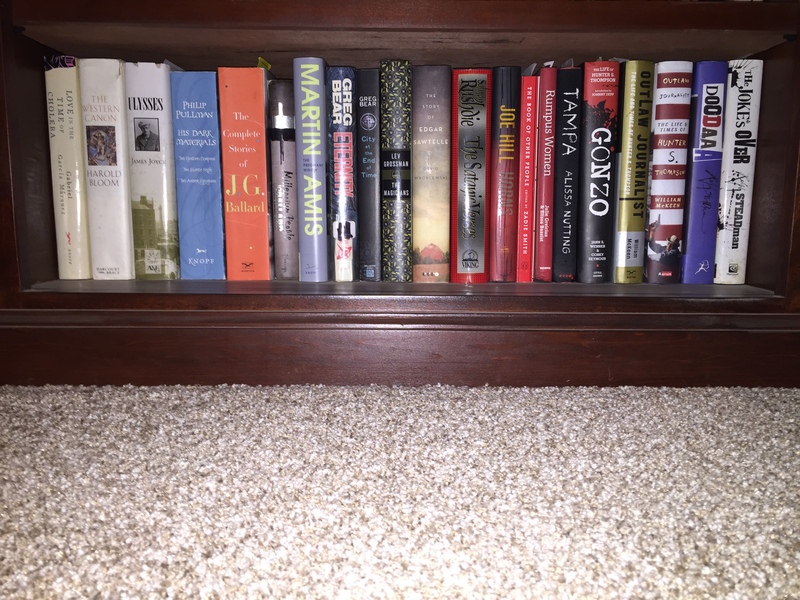 Continuing with my post from earlier, here are some more of my favorite shelves from my home library. This time, we’re heading upstairs (mostly)! 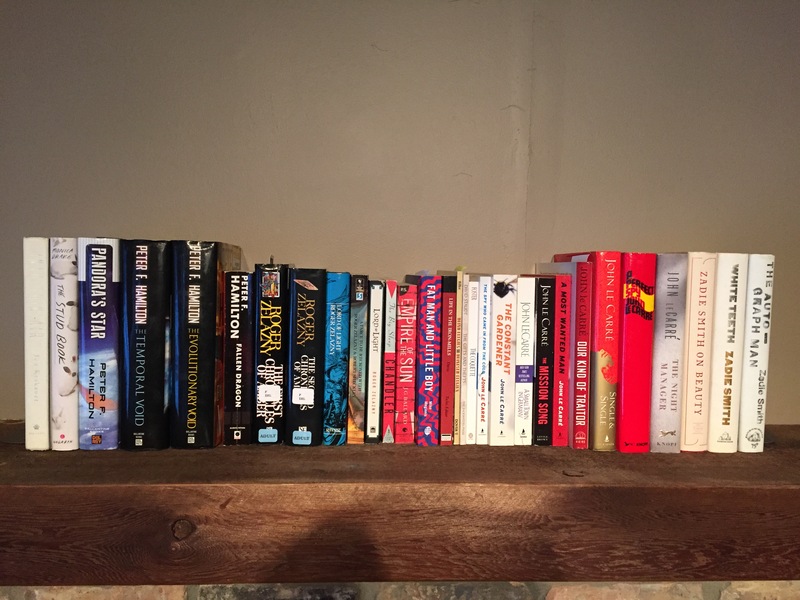 Some short stories, some sci-fi, some Melville, a little bit of the Ozarks, a few vampires — this shelf has a little bit of everything! 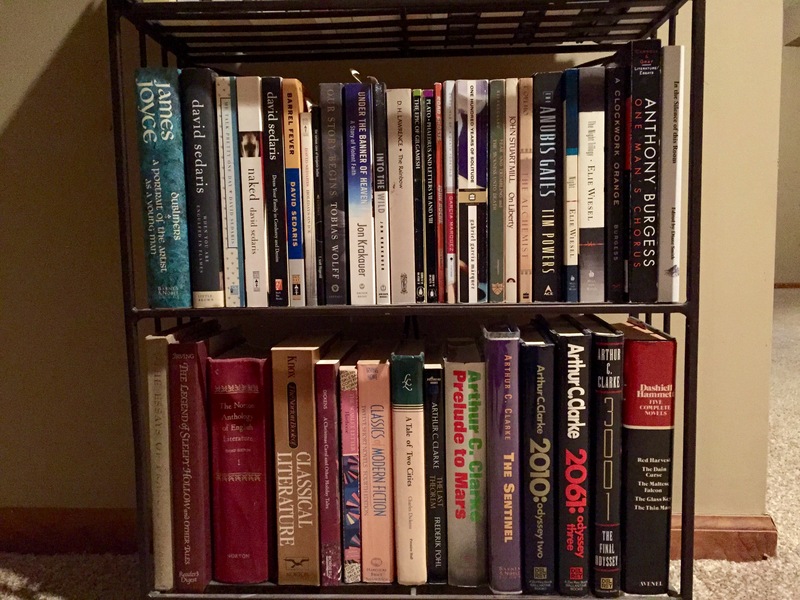 Shelf 1 is mostly philosophy and religion. 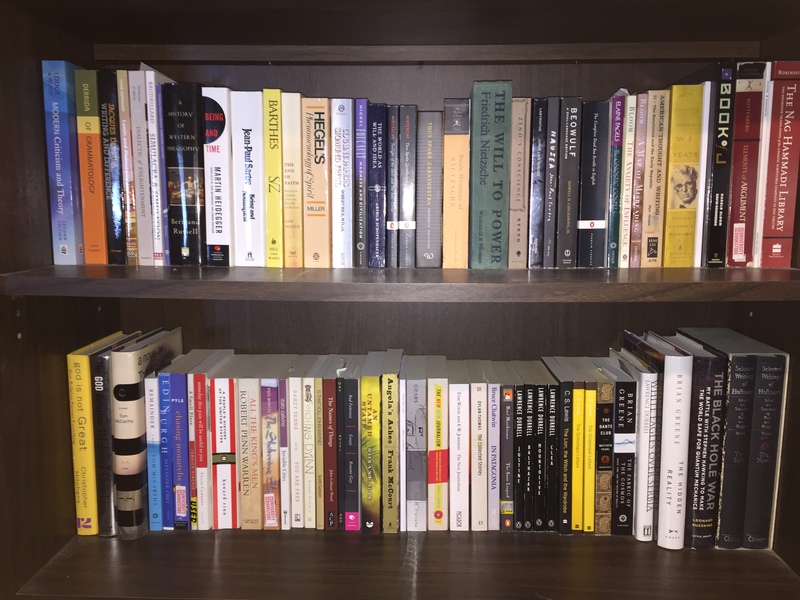 Shelf 2 features science, travel narratives, and books by great writers such as Roxane Gay, Alex Pruteanu, Alexander Chee, and many others!